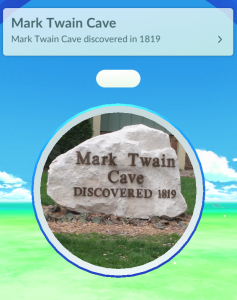 Tom Sawyer & Becky Thatcher aren’t Hannibal’s only fictional characters now that Pokemon GO has arrived! Hannibal has had fictional characters roam the streets for years with our Tom and Becky Program and now the streets are becoming populated with a NEW kind of fictional character – Pokémon from the Pokémon Go app! This app was released July 6 and has already captured the attention of tens of thousands children, teens and adults who are looking for a little bit of exercise and some amusement! So step into that time machine and relive your childhood while also exploring Hannibal and all it has to offer. We have more than 15 Pokéstops in our downtown area alone – and a lot of creatures to catch! These Pokémon creatures heard of all the excitement downtown tourists were experiencing and decided to join in on the adventure Hannibal offers. 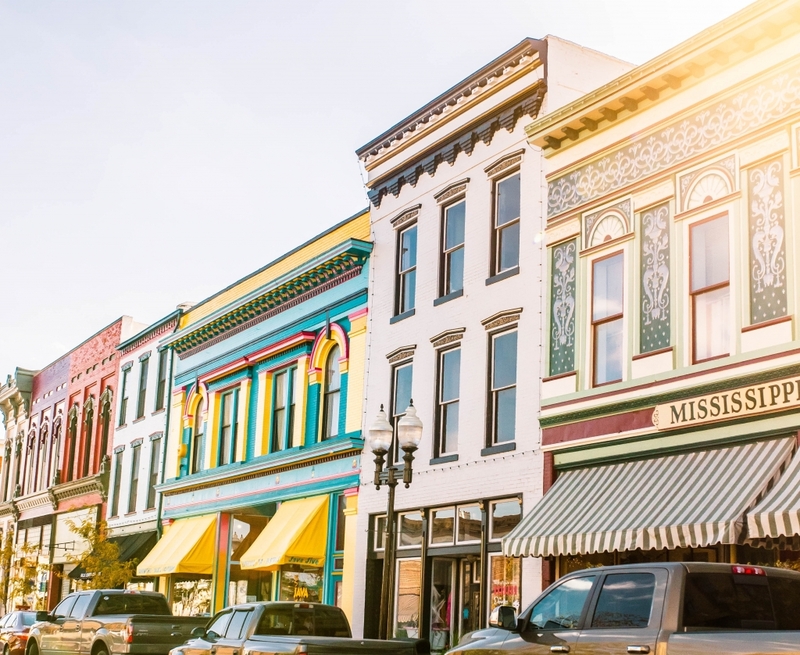 So come on down and see all that you can find while exploring Hannibal’s Historic Downtown. Parents, not interested in the game but have kids that are? 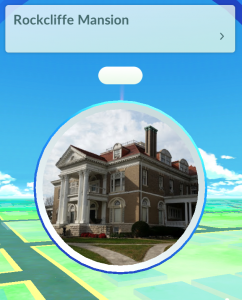 Explore Hannibal’s museums and attractions while you let the kids roam around to find their Pokémon. They may not be as interested in the museums, but they will still experience the historic charm Hannibal offers when visiting the different Pokéstops. Make sure to visit these Pokéstops to enhance your experience, get free Pokémon items, and help you become a Pokémon master. But do not forget to catch the creatures roaming around while you walk to each Pokéstop and experience all of Hannibal’s history. 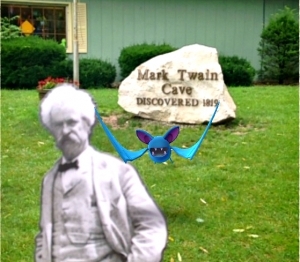 Our traveling Mark Twain was able to catch some creatures at the Cave, Central Park and the Riverboat! Where are you going to find yours?